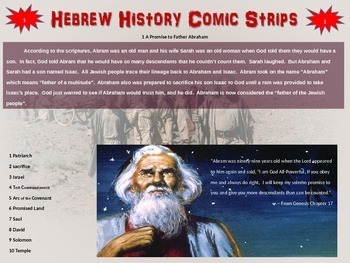 This download includes both the follow-along PowerPoint activity AND the blank comic strip template in both PDF and MS WORD format. Enjoy! 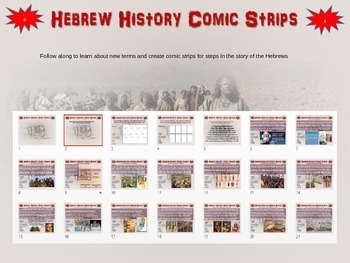 This activity has been designed to take elementary, middle or high school students through an overview of the Hebrew Bible (or the Old Testament from the Christian perspective). 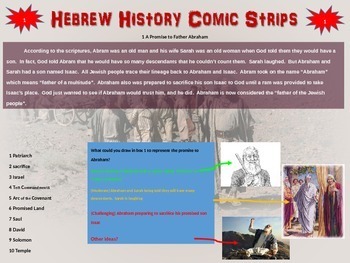 The activity allows students to turn a blank piece of paper into an information-packed resource that uses titles, captions, key terms and creative images. 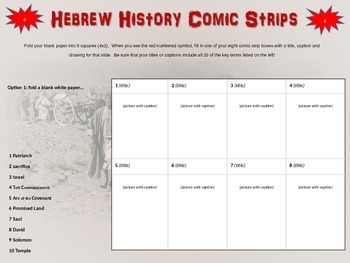 Depending on how long you want to give students to create each box, this activity could take anywhere from 45-90 minutes.